When the weather permits, this week has produced a steady catch of striped bass. Live liners have had success working bunker pods off Bayhead and north in the area of Shark River. Trollers have also been rewarded with most catches reported on white bunker spoons. 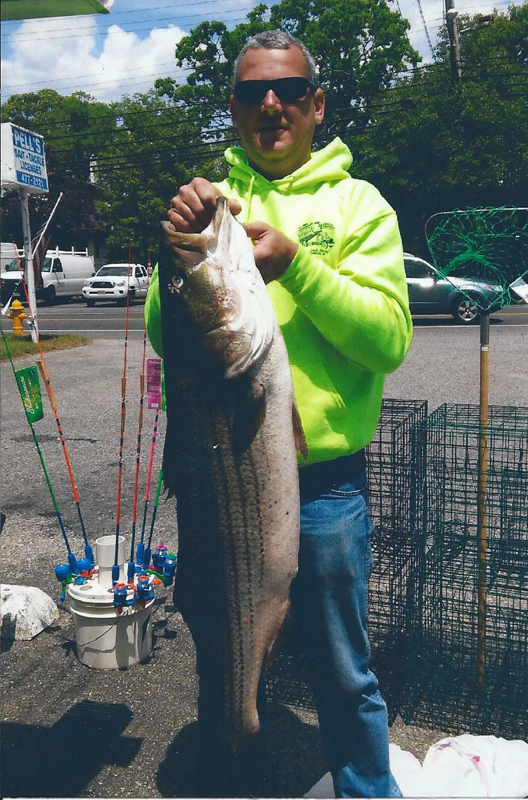 Pell’s customer Frank weighted in a 32 lb’er on a white Tony Maja spoon. With water temps still on the cool side fluke have been reported to be close to the mouth of the Manasquan Inlet and the river. A six lb’er was caught on chartreuse Gulp near “Dog Beach” on the outgoing tide. Crabbing has picked up with good catches at the Mantoloking Bridge and local lagoons.